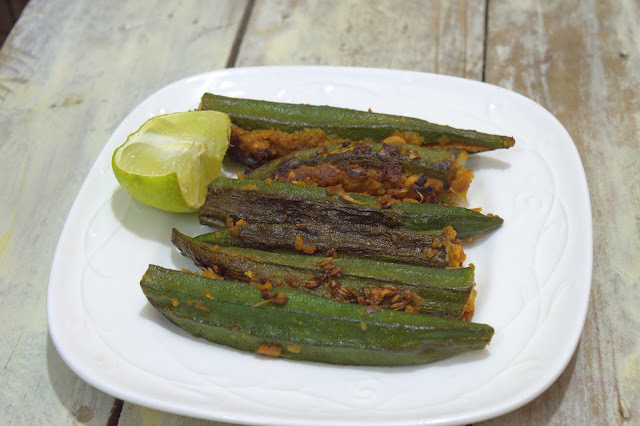 Stuffed bhindi/lady's finger is quite a common recipe in India where the Bharwan means stuffing which is made either with peanuts or grated coconut.This makes an excellent side dish for rice or even roti.Its my daughter who love to have different side dish for roti or rice .Hence for the sake satisfying her carves over food I started trying new recipes. When she asked for this stuffed version of lady's fingers I googled and got ideas and did it. 2.In a bowl add crushed peanuts,besan flour,red chilly powder,turmeric powder,ginger garlic paste, and salt.make a paste with little water. 3.Wash the lady's finger and pat it dry with a clean towel.Trin the heads and tail of each.Make a long slit as shown ,don't cut it in deeply as the filling won't get in tacked inside and it will comes out. 4.Fill the filling in the slit opening as shown below.Do the same for all. 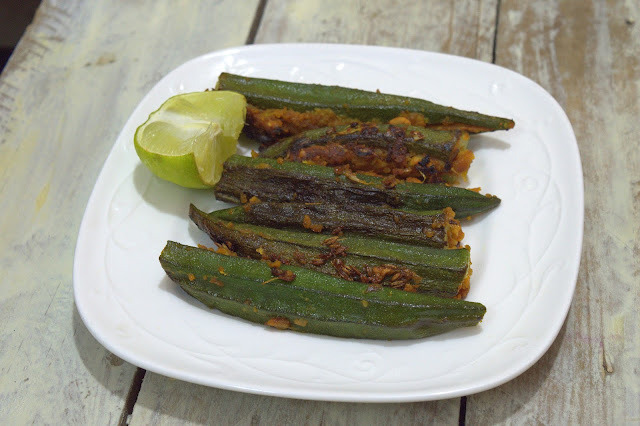 5.Heat oil in non-stick pan,add jeera and arrange the stuffed bhindi in it such that the closed portion touches the pan.Cover and cook in very low flame 5 mins.Flip the other side and be careful not to force the stuffing out. 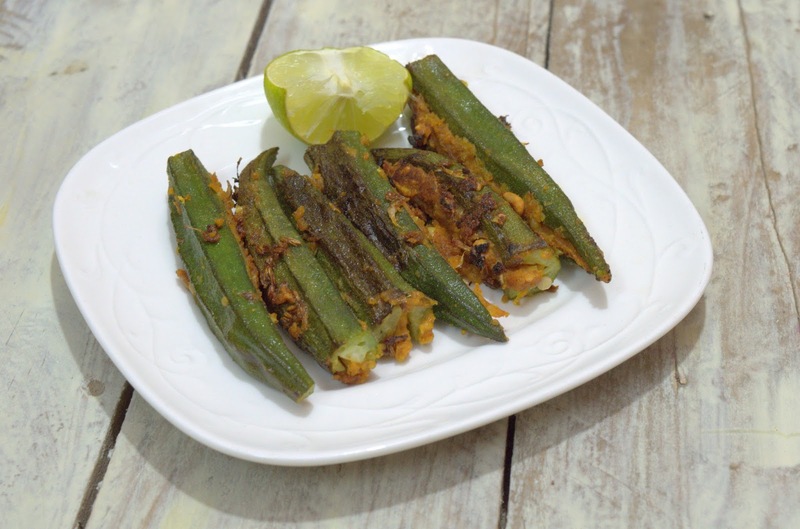 .Switch off the bhindi gets cooked. Serve for rice or even roti. 1.You can also use coconut instead of peanuts.In that avoid the flour.Make the paste with coconut and all dry masala powder and prepare the filling.